Services for Australian Rural and Remote Allied Health (SARRAH) represents 27 different allied health professions. Allied Health Professionals (AHPs) are qualified to apply their skills to retain, restore or gain optimal physical, sensory, psychological, cognitive, social and cultural function of clients, groups and populations. AHPs hold nationally accredited tertiary qualifications (of at least Australian Qualifications Framework (AQF) Level 7 or equivalent), enabling eligibility for membership of their national self-regulating professional association or registration with their national Board. 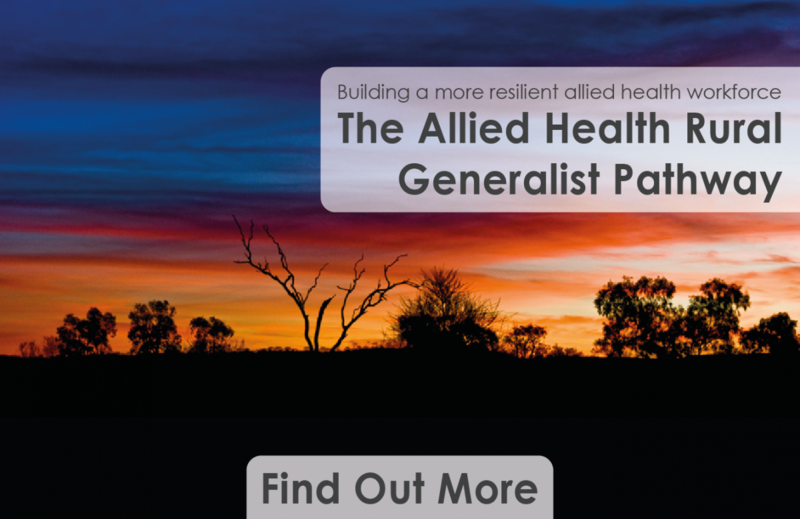 The identity of allied health has emerged from these allied health professions’ client focused, inter-professional and collaborative approach that aligns them to their clients, the community, each other and their health professional colleagues. Accessing reliable workforce data informs decisions that allied health professionals (AHPs) and organisations providing allied health services make when operating in rural and remote communities across Australia. This page provides access to workforce data collected by government and non-government organisations that covers some of the professions that comprise SARRAHs membership. The Department of Health NHWDS has been compiled through a voluntary workforce survey that is completed by AHPs who register or re-register with the Australian Health Practitioner Regulation Agency (AHPRA) and national boards of 14 identified health professions. The NHWDS covers the following professions: ATSI Health Practitioners, Chiropractors, Chinese Medicine Practitioners, Dental Practitioners, Medical Practitioners, Medical Radiation Practitioners, Nurses and Midwives, Occupational Therapists, Optometrists, Osteopaths, Pharmacists, Physiotherapists, Podiatrists and Psychologists. The Data Set provides data for 2013, 2014 and 2015. The Data Set is available in the form of raw data (Requires registration) and a series of fact sheets.